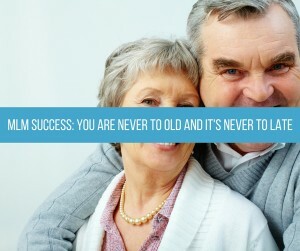 For today’s MLM Success I want to talk about how you are never too old and it’s just never too late. Are you worried about your age or whether it’s too late? Well, I can tell you a few years back when I turned 60 I pretty much thought that doing anything big in Network Marketing was over because of course MLM Success was for the young, right. Boy, was I wrong. I started to think maybe I could just make enough to supplement my retirement and have a little spending money, but certainly couldn’t become a top earner or even a 6-figure earner. This really hit home again the other day when my mentor, Ray Higdon was doing a periscope on this subject. His wife had suffered from the age challenge but on the “I’m too young” side of the spectrum. I’m here to tell you that you are Never Too Old and It’s Never Too Late! You can see from the list below that there are many very successful people who got started much later in life. Understand that this is certainly not a comprehensive list, but it should give you an idea. Sam Walton opened his first Walmart at the age of 44. Charles Darwin wrote “On The Origin of Species” at age 50. Julia Child wrote her first cookbook launching her career at age 50. Jack Cover inventor of the Taser Gun was 50. Tim and Nina Zagat were both 51 when they published their first collection of restaurant reviews. Ray Kroc bought McDonald’s at age 52 in 1954. 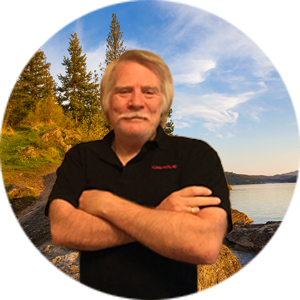 Wally Blume started his own ice cream, Denali Flavors at age 57. Laura Ingalls Wilder published her first “Little House” books at age 65. Harland Sanders, better known as Colonel Sanders was 62 when he franchised Kentucky Fried Chicken. Anna Mary Robertson Moses, better known as Grandma Moses, began her painting career at 78. Duncan Hines sold the rights to his name at the age of 77. Martha Stewart didn’t have success until the age of 41. I love what he shared on that periscope that you are exactly where you are and have gone through exactly what you need to be right where you are. Everything that you have gone through up until this point is exactly what you need to crush it from this point on. All of those heartaches, failures, success, breakdowns and breakthroughs are just what you need to succeed. You truly are Never Too Old, in fact, now I believe that because of all of the time that you have been preparing and life has been preparing you that you are much more likely to succeed than you would have back when you were young. If you look at all the successful people in history who just never gave up and now they are in the history books. People like Edison and Lincoln. Understand that your time is NOW and the only way you can FAIL is to QUIT! If you enjoyed this post, You Are Never Too Old And It’s Never Too Late, then you will like this one too … 2 Famous Failures. Great post Ron, it’s never too late to follow your dreams and create success. Excellent Post Ron. …. wow… I never knew that grandma Moses began her painting career at 78… Thanks for sharing! I love this post!!! Definitely never too late or too early to start your passion!!! Thank you so much Lisa…. What an inspiring post Ron. It does not matter your age to create success in business and in your life. Thank you for always delivering great content you da man!!! Great post Ron. My dad turned his life around and went to university to study Psychology at the age of 40. He’s 46 now and is a lecturer. Any things possible when we set our minds to it. congrats to your Dad Erin… thank you for the comment…. Great post Mark! I always say age is just a number insurance companies rate us up by!! That number is what ever you let your mind make it, go live life and lead others! Thanks for sharing Mark!! thank you so much Zach…. Perfect post, Ron! Being old doesn’t deprive a person from continuing to succeed in business. Can’t wait for your next post. Thanks for sharing. Thank you so much Sherri…. When you put your mind to it, you can achieve anything, age does not matter. !